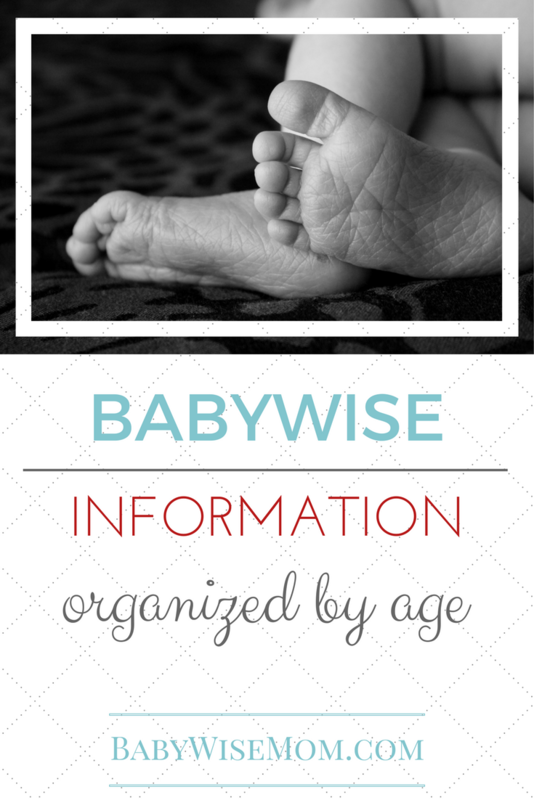 Chronicles of a Babywise mom posts all organized by age. Find newborn topics, baby topics, pretoddler topics, and toddler topics. There are a lot of posts on this blog, and it can definitely be difficult to find what you are looking for. If you want to find something specific to the age of your child, click on the correct age link below. In addition to searching through posts by subject through the blog index, you can search by age group. To see posts organized by topic, visit the Blog Index. You can also see all posts on “Eat” topics organized here. You will find breastfeeding, dreamfeed, dropping feedings, solid foods, mealtime policies and rules, etc. You can find all posts on “Wake” topics organized here. You will find independent play, free play, blanket time, learning time, reading, structured play, toys, waketime length, schedule help, and more. You can find all posts on “Sleep” topics organized here. You will find naps, basics, baby sleep, bedtime, dropping naps, sleep problems, nightmares, sleep training, etc.